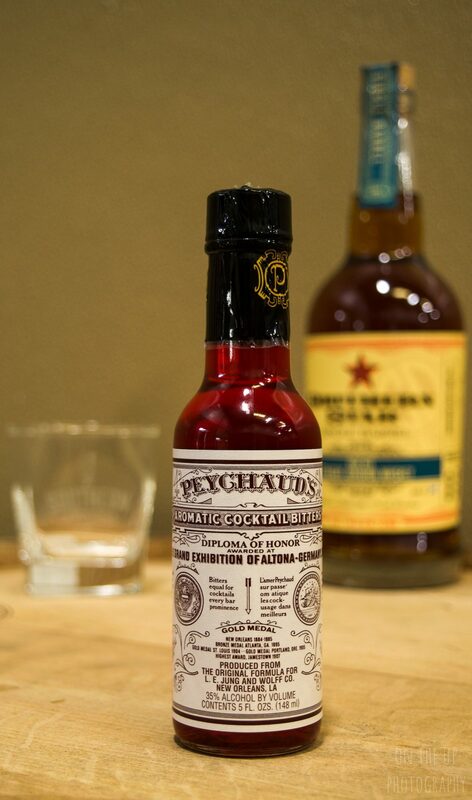 Branded around the 1850s as the United States’ first official cocktail (and currently the state of Louisiana’s official state cocktail! ), the Sazerac has been said to be the “perfect metaphor for a Southern gentleman”. The defining feature is in its preparation, which includes two Old-Fashioned glasses. Legend has it that a New Orleans bar owner sold his business, The Merchants Exchange Coffee House, to become a spirits importer and he began to import a brand of cognac named Sazerac-de-Forge et Fils. The new owner changed the name of the bar to The Sazerac Coffee House and it is said he began serving the “Sazerac Cocktail”, made with the imported Sazerac cognac and allegedly with a proprietary mix of aromatic bitters created in the 1830s by local apothecary, Antoine Amedie Peychaud from an old family recipe. Enjoy our spin on this classic cocktail! Cheers, y’all! Pack an Old-Fashioned glass with ice to chill. In a second Old-Fashioned glass place a sugar cube and add 3 dashes of Peychaud’s Bitters to it, then crush the sugar cube or add the teaspoon of simple syrup. Add the 3 ounces of Southern Star High Rye Bourbon Whiskey to the Peychaud’s Bitters and sugar. Empty the ice from the first glass and coat the glass with the anisette (pastis, Pernod or Herbsaint ~ although Absinthe was absent from the market from 1912 to 2007, you can also use it if you prefer the original recipe) and discard the remaining amount. Empty the bourbon whiskey, bitters and sugar mixture from the second glass into the first glass and garnish with lemon peel. Enjoy!